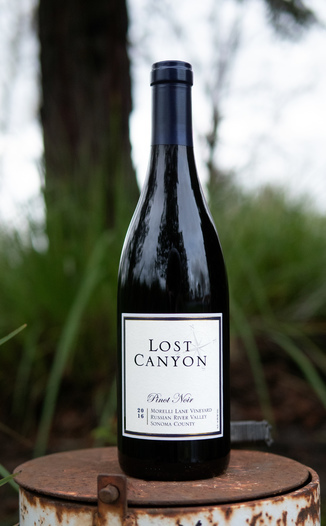 Oh, how we’ve missed the wines of Lost Canyon Winery! This boutique label is the sister label of another Operative favorite, the Fritz Underground Winery. 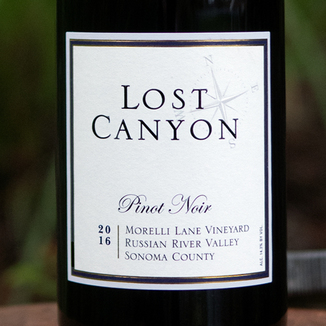 Today’s Lost Canyon 2016 Morelli Lane Vineyard Russian River Valley Pinot Noir hails from one of the finest, most Burgundian Pinot vineyards in the RRV. It looks like a maroon ocean, that’s slightly opaque, yet translucent at the outer edges. Lovely Pinot Noir aroma with freshly cut rose and lilac. There are ample notes of strawberry, raspberry, and blueberry as well - yum! Juicy fruit flavors preside on the palate as well, with ample cherry and red plum. However, there’s also delightful meatiness, red peppercorn, and sun-dried tomato. Absolutely pitch perfect tannin, this approachable Pinot Noir effortlessly rounds out the palate from start to finish. It would excellently complement a complex-spiced Indian dish such as tikka masala or lamb vindaloo. 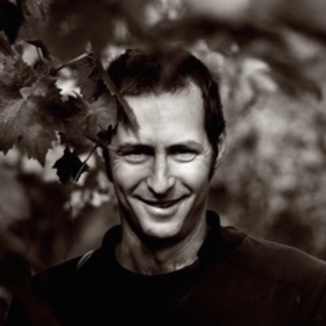 Established in 1995 and planted to Pinot Noir clones 115, 113 and Beringer in sandy loam soil, the Morelli Lane Vineyard finds its home at a 1000’ elevation and only six short miles from the rugged and cool Sonoma Coast. 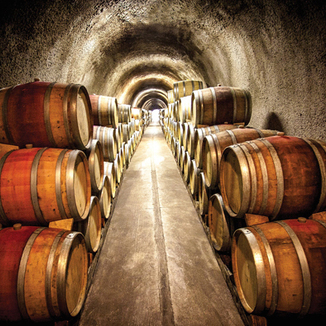 Due to its location, Morelli Lane is influenced by cool mornings and warm daytime temperatures, allowing for maximum color development and unique flavors that lend themselves to crafting in a more classic Burgundian style. Enjoy this very highly recommended treat, with our guarantee of satisfaction. A maroon ocean, that’s slightly opaque, yet translucent at the outer edges. Fresh cut rose, lilac, strawberry, raspberry, and blueberry. Cherry, red plum, delightful meatiness, red peppercorn, and sun-dried tomato. Pitch perfect tannin. Effortlessly rounds out the palate from start to finish. Complex-spiced Indian dish such as tikka masala or lamb vindaloo.